Have Ajay Devgn and Kajol bought an apartment for daughter Nysa in Singapore? 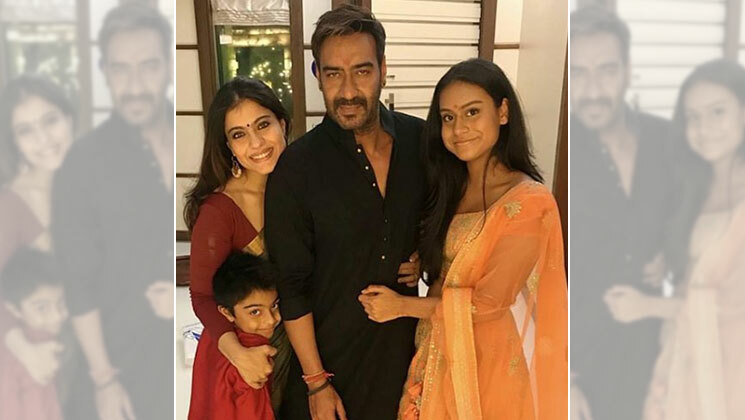 Home Bollywood Gossip Have Ajay Devgn and Kajol bought an apartment for daughter Nysa in Singapore? Ajay Devgn is one of the toughest and daring actors that Bollywood has seen over the last 25 years. Devgn’s ‘Singham’ franchise is a classic example of that. But, when it comes to his daughter Nysa, he is like any other father, who is very emotional and protective. As per latest reports, Ajay and Kajol have bought an Apartment for their daughter Nysa in Singapore. Nysa has been living in Singapore for the past one year due to her education. The decision wasn’t easy for any of them and Nysa initially also took time to adjust. Ajay, Kajol and their son Yug visit Nysa quite often and even she visits Mumbai on her breaks. Nysa was in Mumbai last month and even attended the special screening of Kajol’s film, ‘Helicopter Eela’. Like any caring parents, Ajay Devgn and Kajol took a trip to Singapore recently for a special purpose. During this visit, the couple reportedly purchased a new apartment in a posh area in Singapore for Nysa. Nysa, who is completing her education at the United World College and prefers to stay on her own, reported Mumbai Mirror. She would be moving into the new apartment, which is swanky and luxurious by January 2019. On the work front, Ajay Devgn and Kajol will be next seen in ‘Taanaji: The Unsung Warrior’ and Kajol has already started shooting for it. The project also has Saif Ali Khan playing an antagonist in it.